Norman Minsky is of counsel to the firm. He was born in Bangor, Maine, in 1930. Mr. Minsky received a Bachelor of Science in 1951 and his law degree in 1953, both from Boston University. He was admitted to practice before the Courts of the State of Maine in 1953. Mr. Minsky served in the Maine House of Representatives from 1961 to 1964. He was a member of the Bangor City Council from 1965 to 1971 and was the mayor of Bangor in 1968. Mr. Minsky served as secretary-treasurer of the Penobscot County Bar Library Association from 1975 to 1985 and was a member of the Supreme Judicial Court Advisory Committee on County Law Libraries from 1978 to 1996. He serves as president of the Board of Trustees of the Bangor Public Library. From 1975 to 1994, Mr. Minsky served on the Maine Title Standards Committee. He is a member of the Penobscot County Bar Association, of which he was president in 1973. He is also a member of the Maine State Bar Association and was chairman of the Association’s Continuing Legal Education Committee from 1988 to 1991. 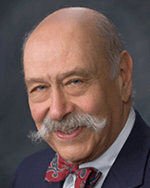 Mr. Minsky is a fellow of the American College of Real Estate Lawyers.